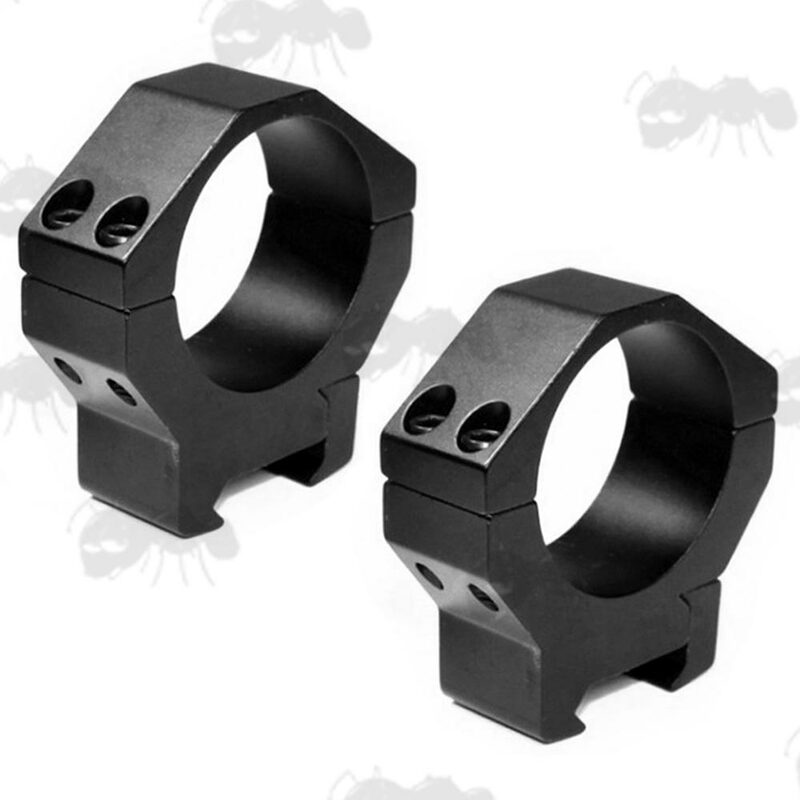 For high-grade rifle scopes, Schmidt Bender, Leupold, Night Force etc. Overall height 52mm, width 51mm, thickness 18mm. A pair weighs approx 105 grams. 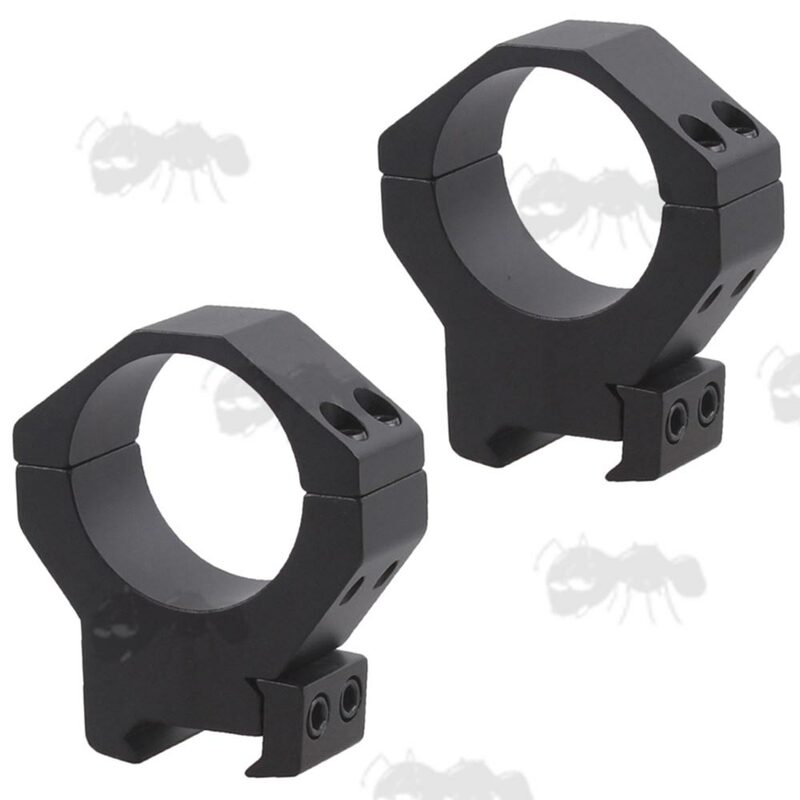 Overall height 57mm, width 51mm, thickness 18mm. A pair weighs approx 120 grams. A pair weighs approx 114 grams. 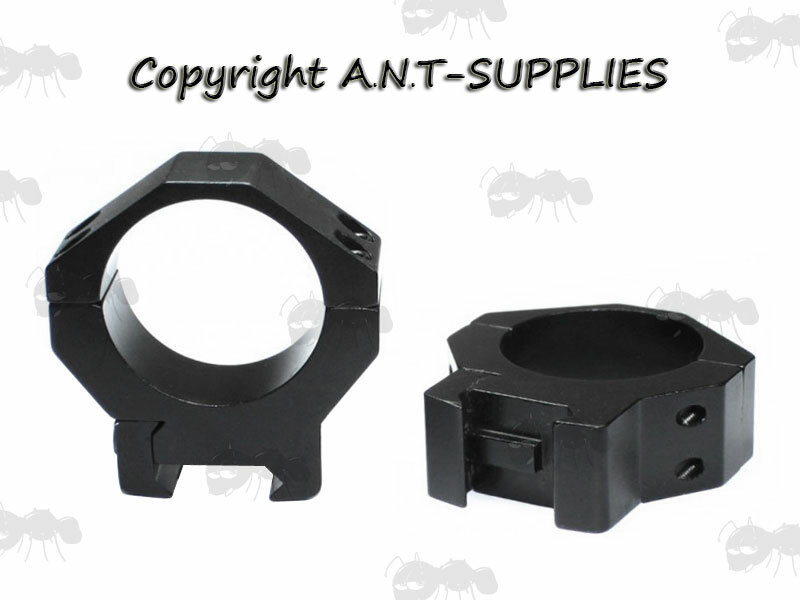 For Schmidt Bender, Leupold, Night Force and other 34mm / 35mm scopes, laser or torches. 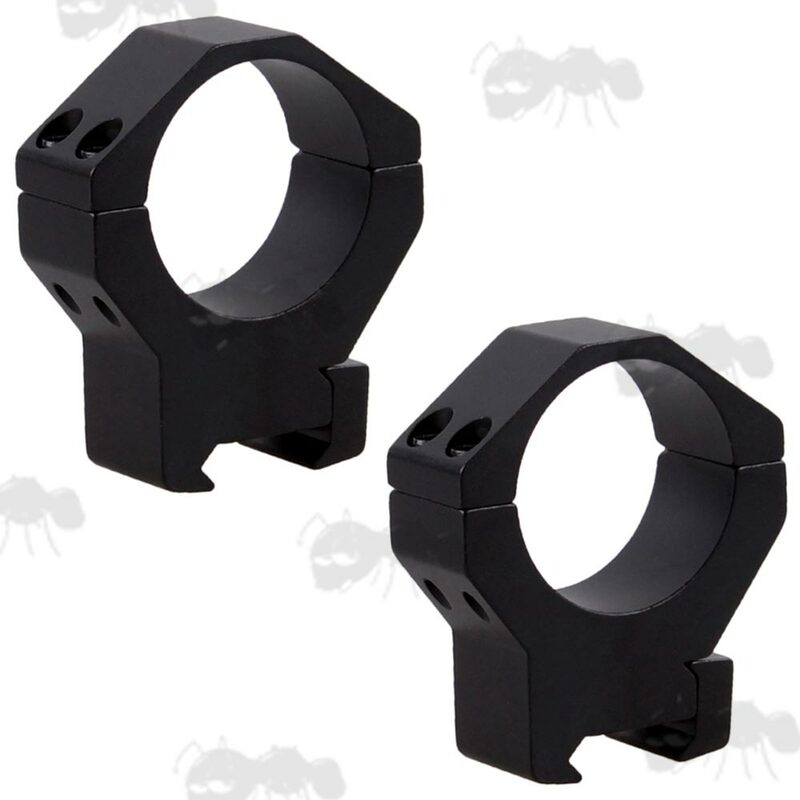 High quality precision machined aluminium alloy in durable black matte finish. 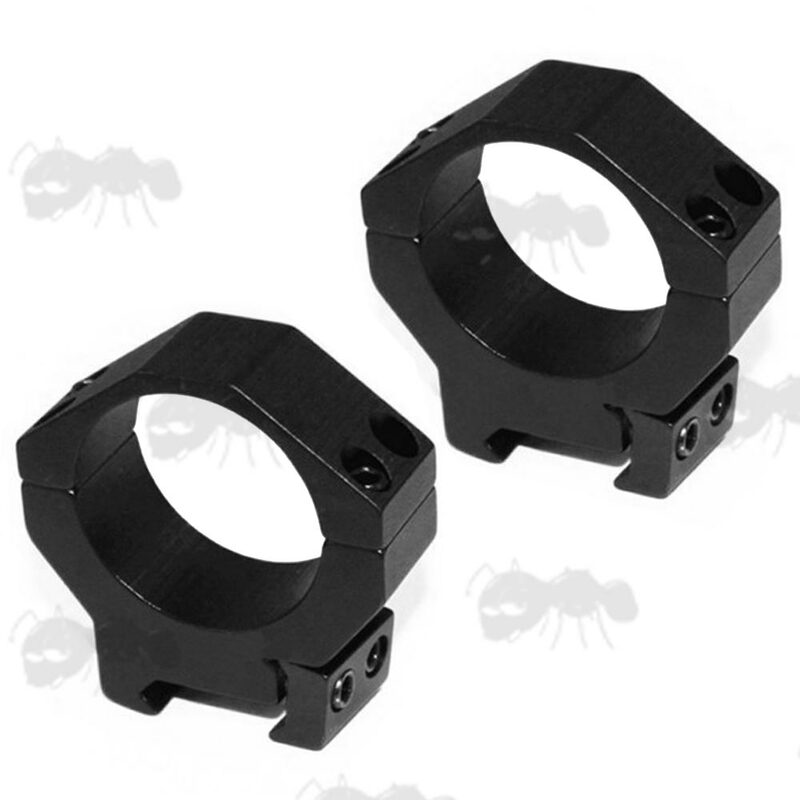 Twin allen bolt rail clamp fittings for 20mm weaver / picatinny rails. If you see this message, it means that your browser doesn't support iframes or they are disabled. You can access the information shown in this frame here: Rifle Product Scroller.